Senior Alex Abbott recently won the Best Paper award at the 3rd annual National Undergraduate Philosophy Conference at West Virginia University. 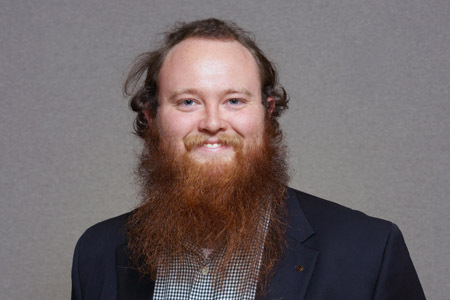 Senior Alex Abbott recently won the Best Paper award at the 3rd annual National Undergraduate Philosophy Conference at West Virginia University, but he might argue that he cannot touch it, nor even see it. Abbott's paper was "In Defense of Berkeley's Heterogeneity Thesis," which he explains, holds that the objects of one's sense modality are incommensurable with the objects of any other sense modality. When pressed for a simpler explanation, he says, "When I say I hear a baseball, I don't actually hear the baseball itself. I hear the sound the baseball makes as it goes past." Abbott is a philosophy and history double-major from Winston-Salem, North Carolina. He originally wrote the paper two years ago for Dr. Marc Hight's class "The Empiricists and Kant." Dr. Hight worked with Abbott on editing the paper and suggested he submit it to the conference. The paper was accepted and Abbott presented an abridged version of the paper at the conference in April. This is the second time Abbott has worked with Hight on a research project. Dr. Hight also guided Abbott's summer research on Immaterialism and the Holy Trinity. Dr. Hight says of Abbott, "Alex represents the best of what Hampden-Sydney has to offer. 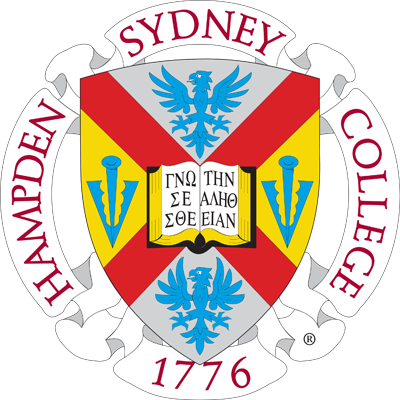 He came to H-SC a good student and after four years his record here shows that he will be graduated as a brilliant one."